Are you tired of the snow? Are you tired of hearing about the snow? Trust me, I am just as tired of shoveling it! 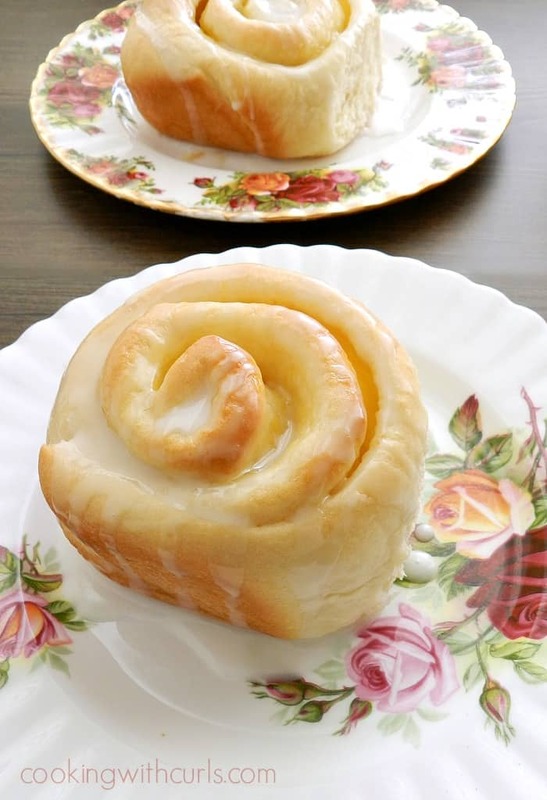 So to brighten your day, or night, I present to you…..Lemon Curd Sweet Rolls! I think they are the perfect pick me up for these long and cold winter days…..and nights. Lemons are so bright and cheerful, they just seem to scream summer! 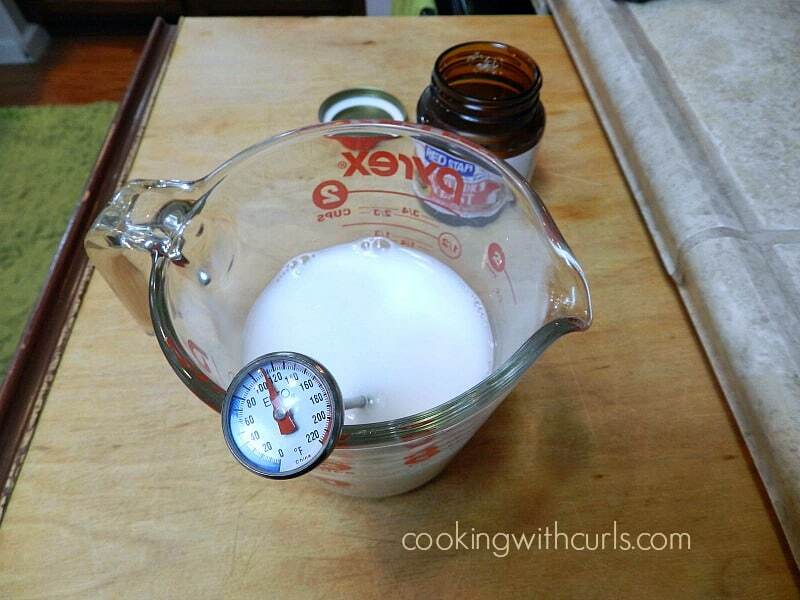 Start by heating your water and milk to 110 to 115 degrees…..
and let it sit for 5 to 10 minutes to proof….. If your yeast does not puff up like this, then it is dead and you need to go buy a new jar. 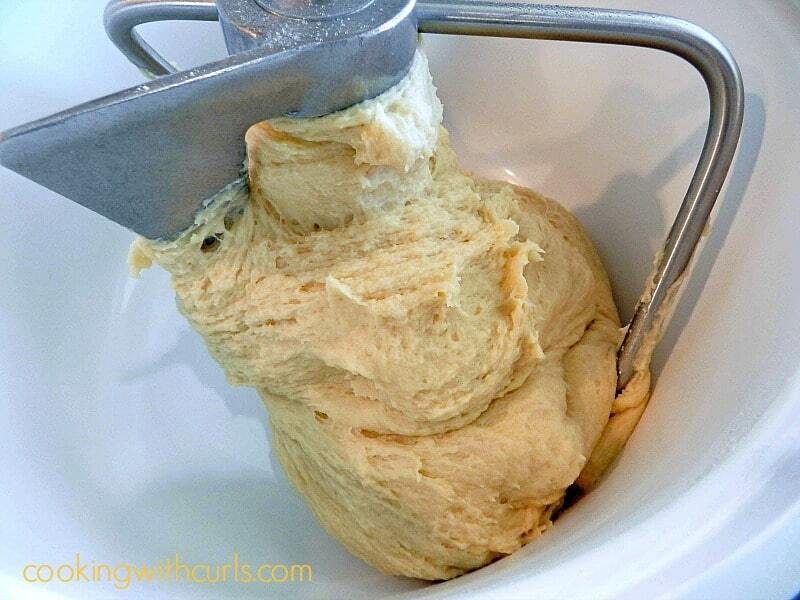 😉 Now pour the yeast into the bowl of a stand mixer…..
Then add the butter, sugar, flour, salt, and egg and mix for 4 to 5 minutes to combine…..
Place dough into an oiled bowl and cover. Allow dough to rise in a warm location for about 1 and a 1/2 hours, or until doubled…..
You don’t need to be afraid of yeast dough, it is really forgiving. 🙂 Remove dough and place on a flour covered work surface. 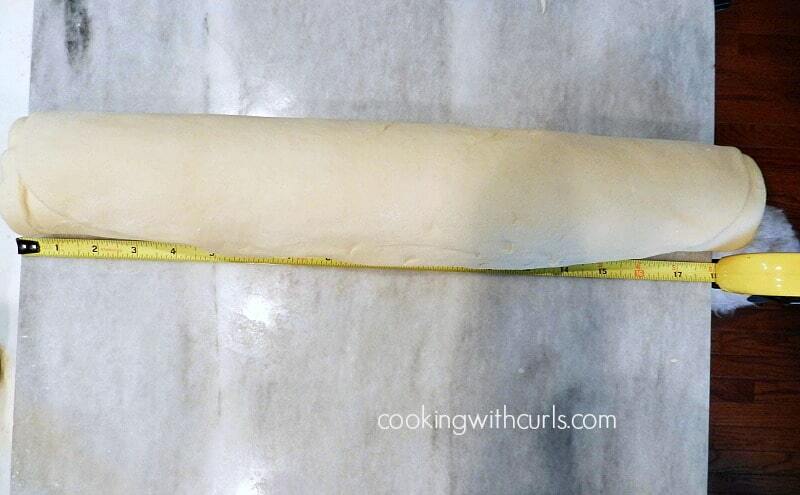 Roll dough out to a 15″ x 18″ rectangle. Spread lemon curd over dough to within 1/2″ of the edge…..
Start rolling dough from the left (long side) to the right to form a log…..
Measure and mark dough in 1 and a 1/2″ increments…..
Slice dough on the marks, and place in a 13″ x 9″ baking pan that has been sprayed with cooking spray…..
Cover and allow to rise until doubled in size, about an hour…..
Preheat oven to 350 degrees. 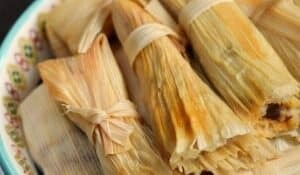 Place rolls in the oven and bake for 15 to 20 minutes, or until golden brown and cooked through in the center…..
Whisk the glaze ingredients together in a small bowl. Add additional milk if needed to reach desired consistency. 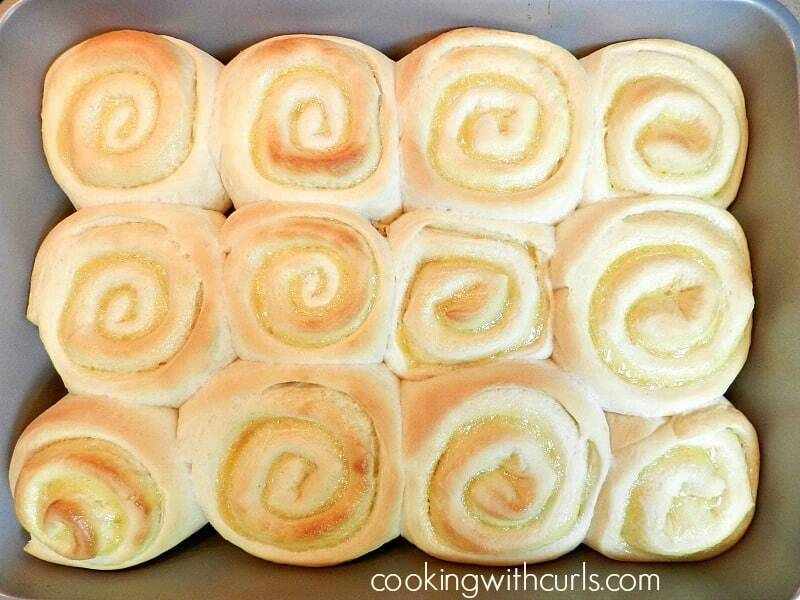 Drizzle glaze over rolls in the pan…..
My rolls shrunk up, because I grabbed the wrong sized pan. Mine was larger than 13 x 9, and I didn’t realize it until they were done. 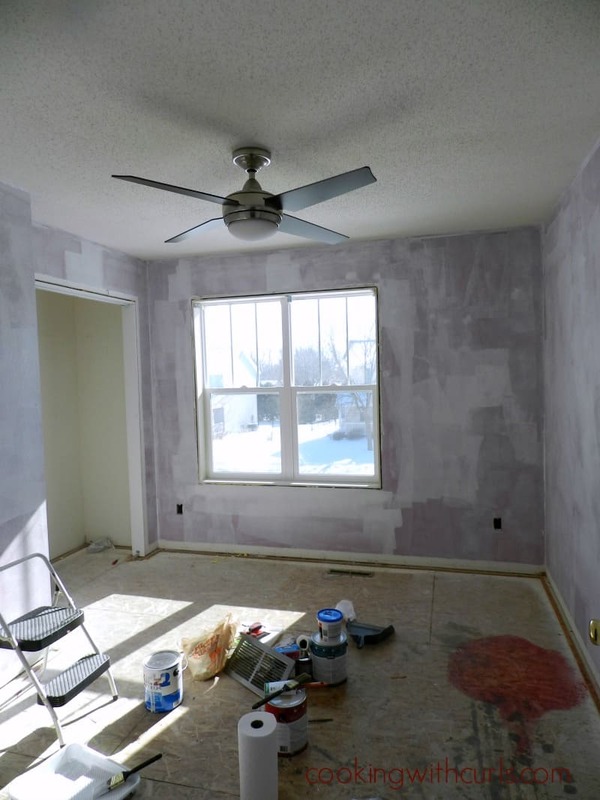 It did not affect the taste at all…..
Why you should never allow your children to paint their own bedroom! 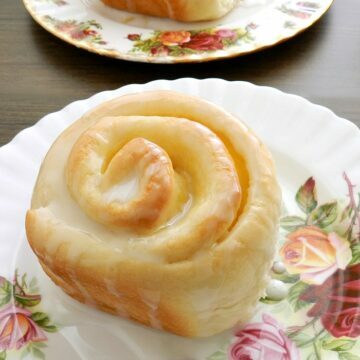 I really wish I had some of the sweet rolls this weekend, to help cheer me up when I was painting my son’s bedroom. Those of you with small children, never let them talk you into painting their room dark red!!! Why? 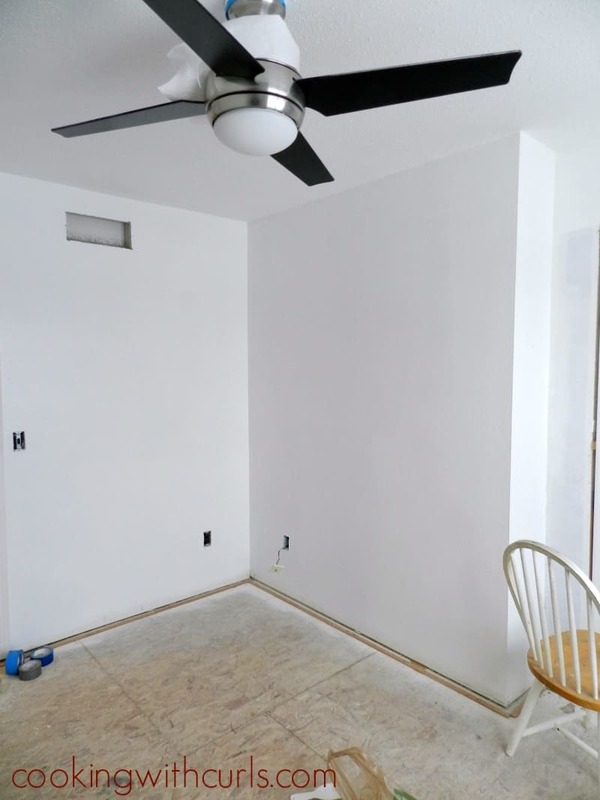 Because it is REALLY time consuming to repaint it. 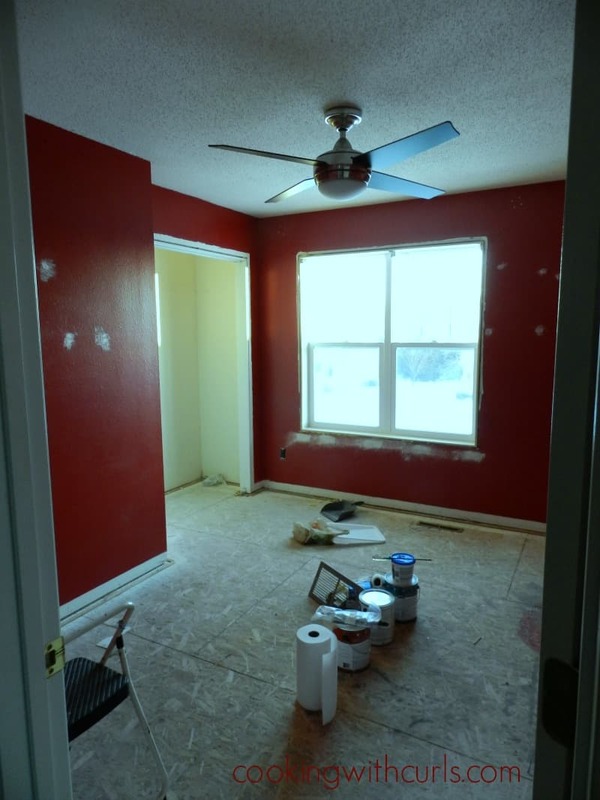 First you have to use primer…..
Do you see that red circle on the floor? That is why there is no carpet! 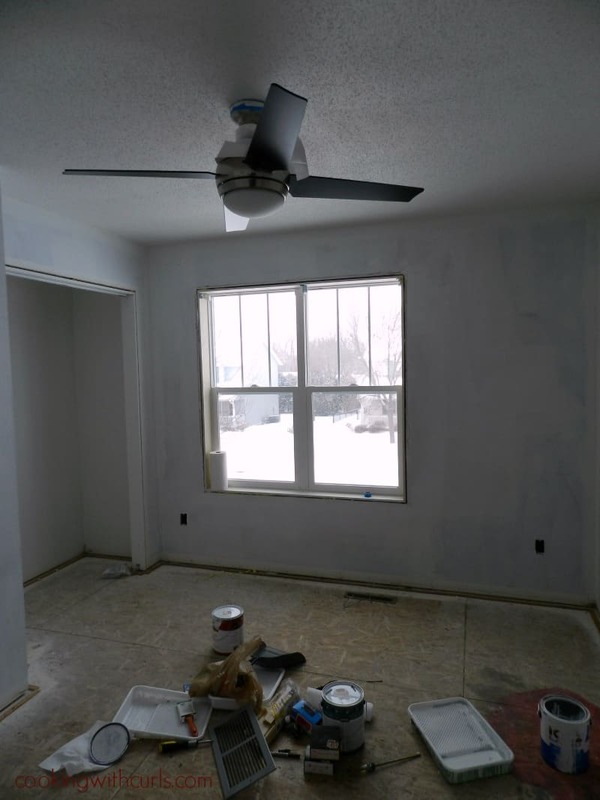 Okay, then you get to roll on a second coat of primer…..
Then you start painting with your chosen color…..mine is Behr “Falling Snow”, LOL. 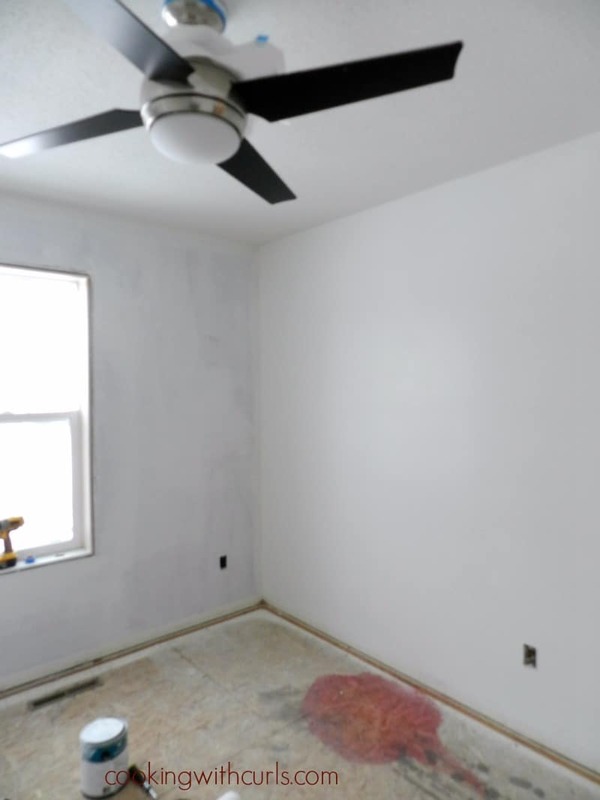 But it still isn’t covering, so you go back to Home Depot and buy another can of paint with the primer in it….. 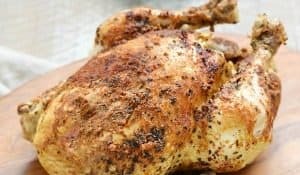 I used Dickinson’s Lemon Curd in this recipe. If you would like to make your own Homemade Lemon Curd that would be awesome as well! 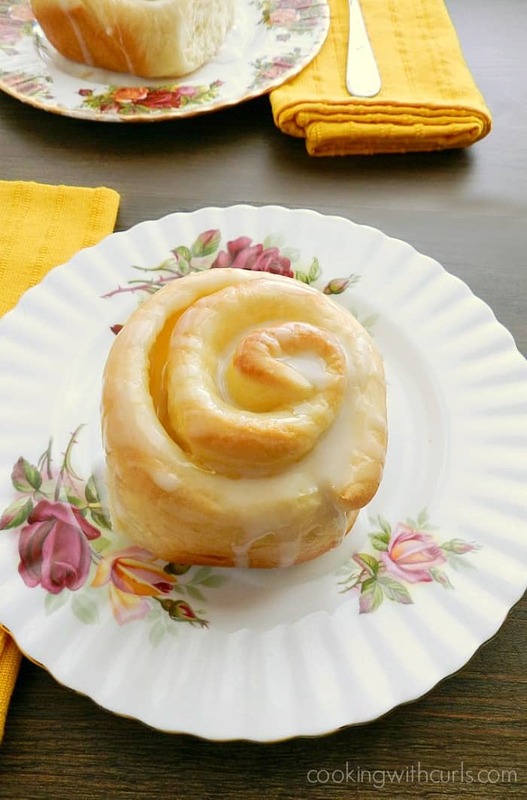 These delicious Lemon Curd Sweet Rolls are a perfect way to start the day with their tangy filling and sweet glaze! Heat water and milk to 110 -to115 degrees. Allow the yeast to sit for 5 to10 minutes to foam (proof). 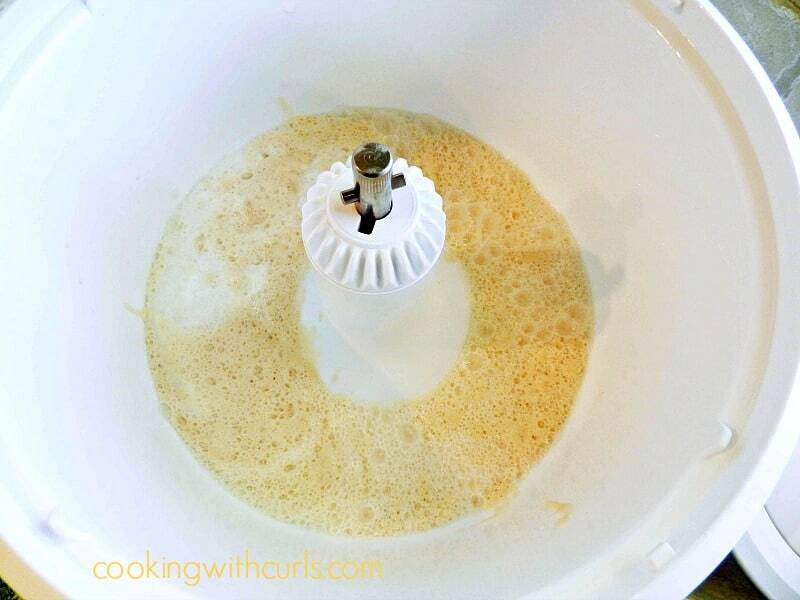 Add yeast mixture to the bowl of a stand mixer. Add remaining ingredients, and mix for 4 to 5 minutes to fully combine. 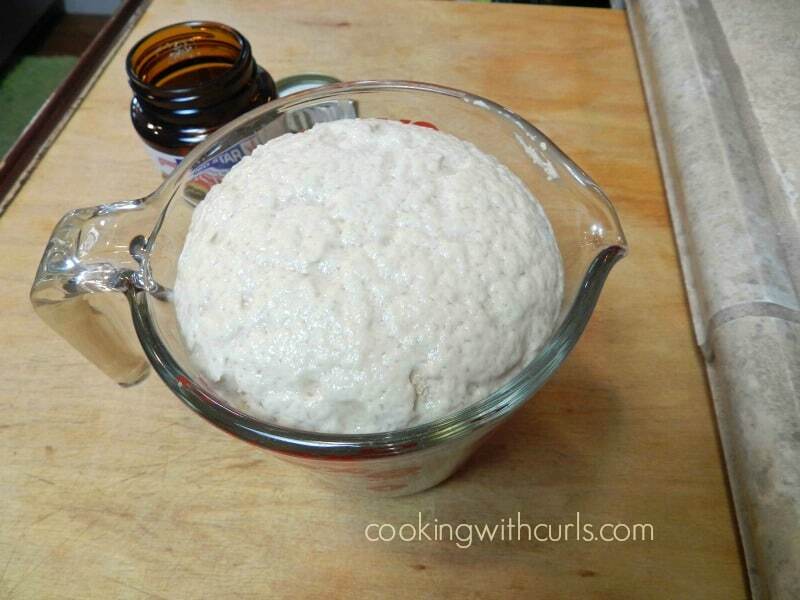 Place dough in an oiled bowl and cover. 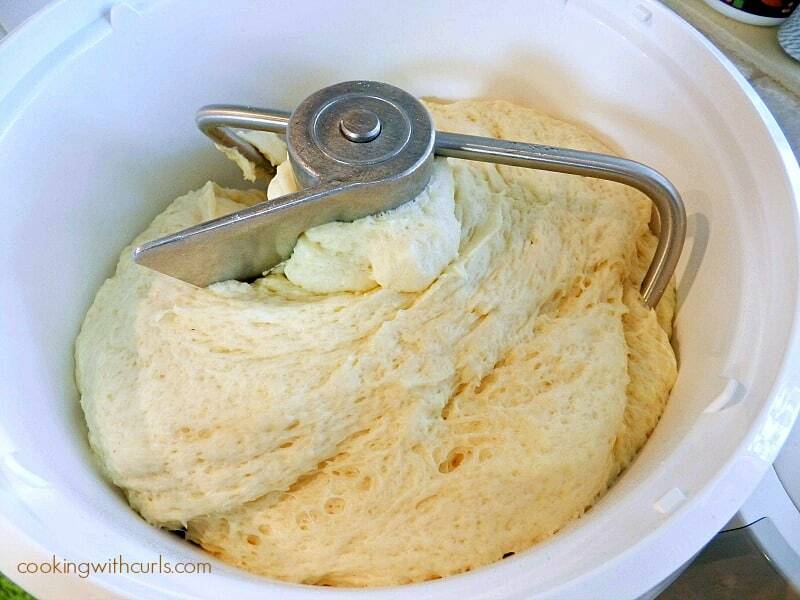 Allow dough to rise in a warm location for 1 and a 1/2 hours, or until doubled. My mixer has a plastic cover, so I left it in there to rise. 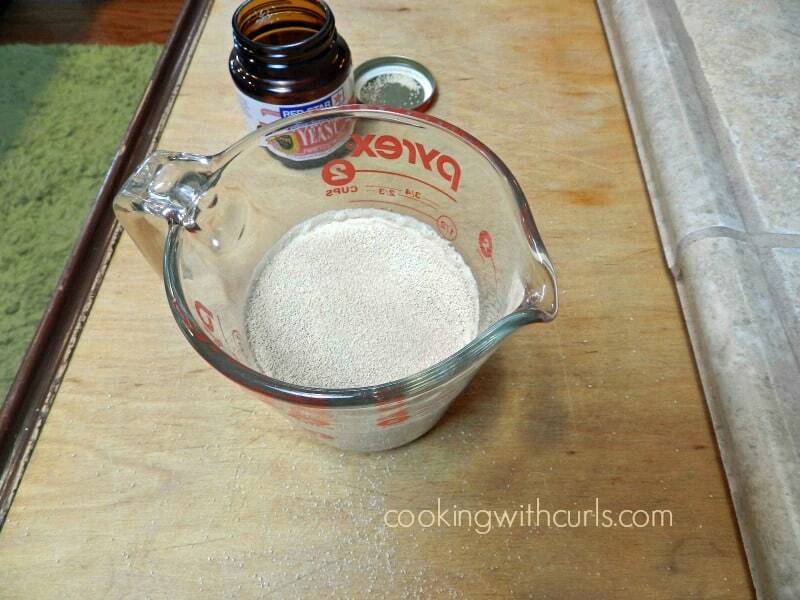 Remove dough and place on a flour covered work surface. 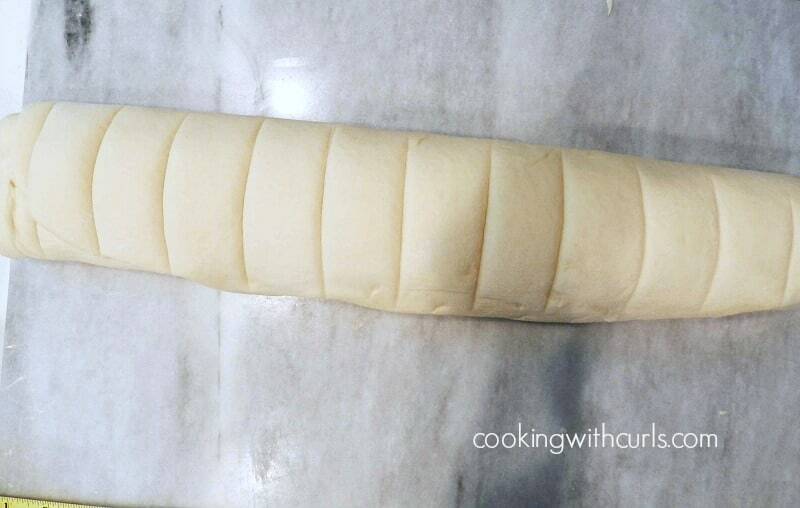 Roll dough out to a 15" x 18" rectangle. 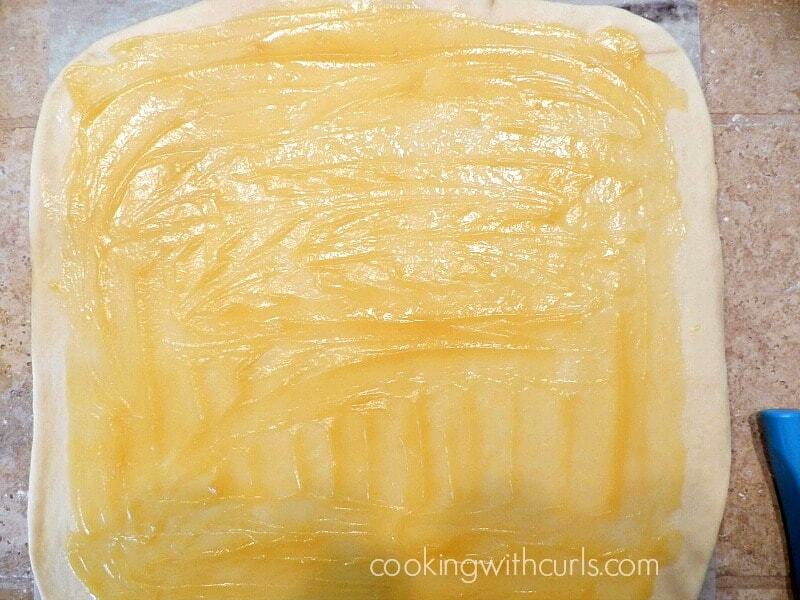 Spread lemon curd over dough to within 1/2" of the edge. 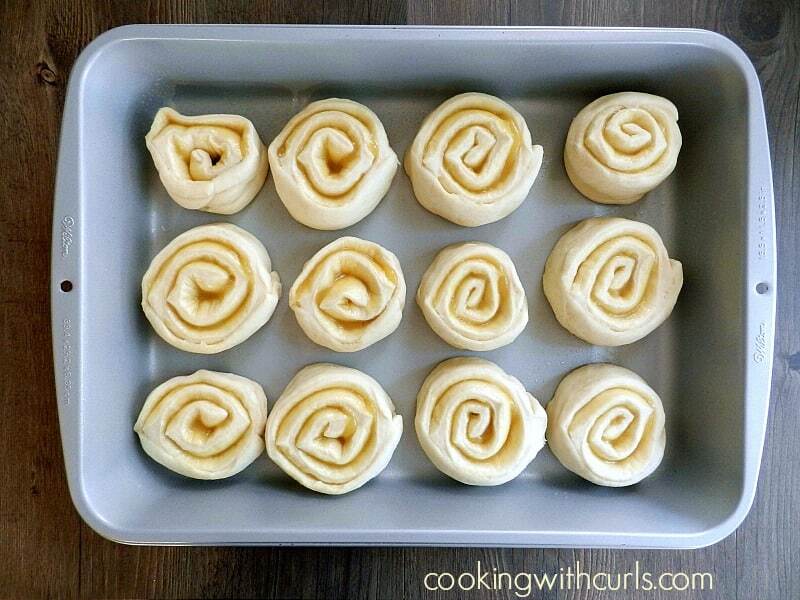 Start rolling dough from the left (long side) to the right. Measure and mark dough in 1 and a 1/2" increments. Slice dough on the marks, and place in a 13" x 9" baking pan that has been sprayed with cooking spray. Cover and allow to rise until doubled in size, about an hour. Preheat oven to 350 degrees. 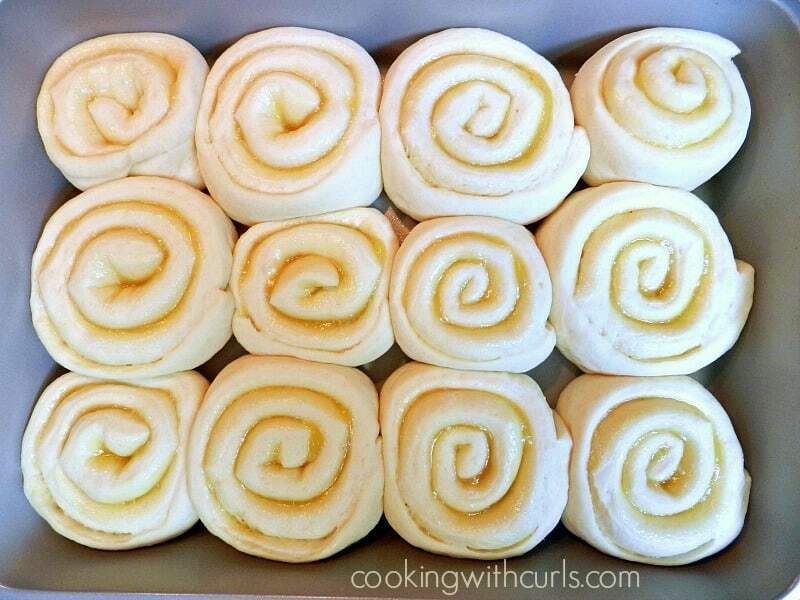 Place rolls in oven and bake for 15 to 20 minutes, or until golden brown and cooked through in the center. Whisk ingredients together in a small bowl. Add additional milk if needed to reach desired consistency. 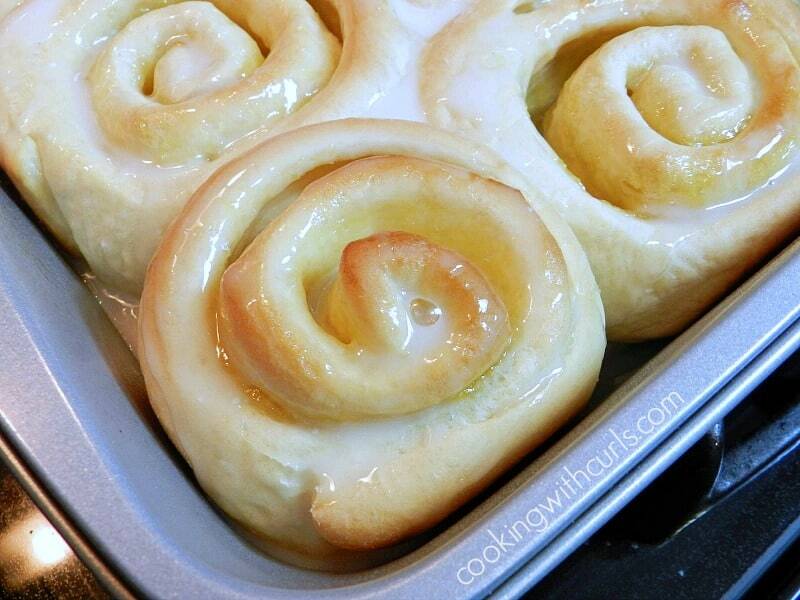 Drizzle glaze over rolls in the pan. Serve. 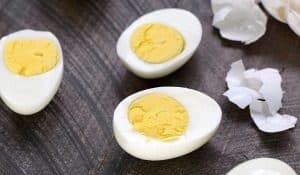 I used Dickinson's Lemon Curd in this recipe. If you would like to make your own Homemade Lemon Curd that would be awesome as well! how much do I need? Is the process still the same? I am sorry Rose, I have no idea. I have never used fresh yeast before. 🙁 I would suggest that you google it and see what comes up. Good luck! !